The rate of shark bites in Hawaii has been increasing slightly in recent years, but the risk remains extremely low — roughly 5-in-1 million — according to new research. HONOLULU (AP) — The rate of shark bites in Hawaii has been increasing slightly in recent years, but the risk remains extremely low — roughly 5-in-1 million — according to new research. Recently published research that looked at 55 years of global data showed shark bites around the world are highly variable from year to year, but in some locations, including Hawaii, the rates have increased in recent decades, the Honolulu Star-Advertiser reported Friday. “In highly populated regions_like the Eastern USA and Southern Australia_shark attack rates have doubled in the last 20 years, and while the rates remain relatively low, they should continue to be monitored,” the report said. Steve Midway, assistant professor in the Department of Oceanography and Coastal Sciences at Louisiana State University and co-author of the paper, said Hawaii’s bite rate was the highest of the seven global regions studied. Midway said because the research was calculated using only resident populations and did not include tourists, the rates of shark bites in Hawaii is even lower than reported. The state had about 10 million visitors in 2018. “It’s not a new message in terms of the big picture: The risk is low and that’s been known,” he said. “What we did that was new and a little bit different was look at the place and time globally over more than 50 years,” providing a historical context that might contribute to a better understanding of the risk. The study’s authors hope the information will temper the hysteria that often accompanies shark bites and “contribute to a more scientifically grounded discussion of sharks and their management and conservation,” Midway said. 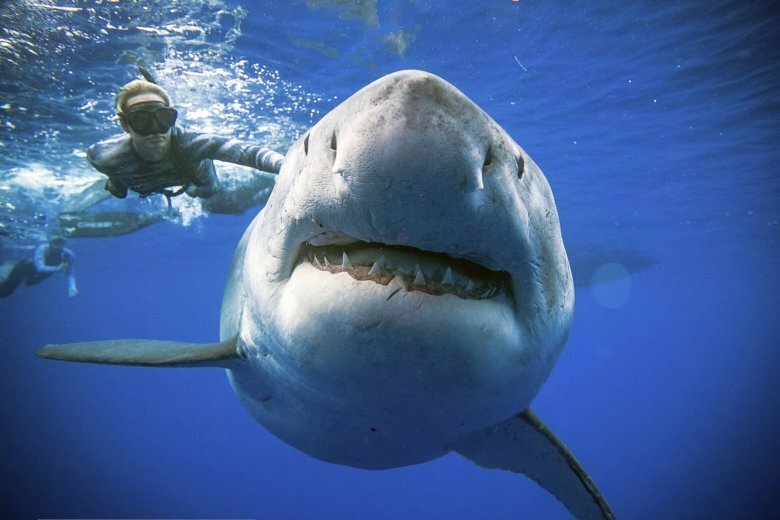 Midway, who specializes in fish ecology, said he was intrigued by a spate of seven shark bites off North Carolina in the summer of 2015 and contacted George Burgess at the International Shark Attack File at the University of Florida in Gainesville, a recognized clearinghouse for shark bite reports worldwide. Burgess said the study, also co-authored by Tyler Wagner of the U.S. Geological Survey, provides “good statistical oomph” to the notion the shark bite risk is slight, with far more people killed or injured by jellyfish, stingrays, sunburn, sand hole collapses, surf accidents and car crashes on the way to the beach. The growing popularity of ocean recreation, especially surfing, is likely one reason for the increase in human-shark interactions and for more diverse areas not historically known for shark attacks emerging in the data. It’s also no coincidence the same regions with increasing shark attack rates also have high rates of technology use, including smartphones, email and the internet, which makes it easier to document and share news of shark attacks, he said. “I don’t believe the increases we’ve seen are because sharks are suddenly hungry for humans, but are due to changes in the behavior patterns of humans, and the ability to report has increased,” Burgess said.